This entry was posted in Match Up Defense and tagged basketball defense, coaching basketball, Match Up Defense on May 4, 2014 by admin. The Cobra Pit Match Up is named after one of the deadliest snakes in the world. The cobra’s venom blocks the synaptic communication between the victim’s neurons and muscles, thus stopping movement and muscle control. Our Cobra Pit Match Up defense blocks communication by confusing the opponents thus most teams tend to stand (stopping movement) and make turnovers (stopping muscle control). And Cobra Pit because there are five attackers in the defense, coming from all angles. This entry was posted in BOOKS, Defense, Match Up Defense and tagged basketball defense, coaching basketball, Match Up Defense on April 3, 2014 by admin. 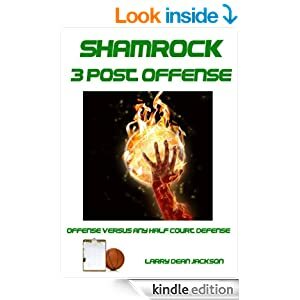 Two dominating match up defenses are presented in this book as one defensive package. The first is more compact but really takes the opponent’s top player out of their offense. The second is more spread and more aggressive without focusing on one single opposing player. Both are extremely difficult to attack and will baffle even the best of offensive teams. This entry was posted in BOOKS, Defense, Match Up Defense and tagged basketball defense, coaching basektball, Match Up Defense on April 2, 2014 by admin. Defense is that part of the basketball game that a team must play well to be successful. In this modern game the offensive player has become so great that a coach must have something different to combat this. No longer can a team play one type of defense during a game, let alone a season. More and more coaches are changing from man to man to a zone defense and vice versa during a game to combat the efficiency of the opponent’s offense. The Swarm Match Up Defense is a combination of both man to man and zone. Without changing the rules the coach can alter this defense to meet the opposition’s offense. Good defensive teams will defeat an excellent offensive team most of the time. A fair defensive team will defeat a good offensive team most of the time. Your defense will not let you down during a game but your offense will. Defense is the name of the game! The Swarm Match Up Defense is different and requires your opponent to prepare differently to attack it if he is to be successful. This entry was posted in BOOKS, Defense, Match Up Defense and tagged basketball defense, coaching basketball, Match Up Defense, swarm defense on April 2, 2014 by admin. This entry was posted in Defense, Match Up Defense, Pressure Defense and tagged basketball defense, basketball press, coaching basketball, Match Up Defense, pressure defense on April 2, 2014 by admin. This entry was posted in Defense, Man-toMan Defense, Match Up Defense and tagged basketball defense, coaching basketball, man to man defense, Match Up Defense on April 1, 2014 by admin.